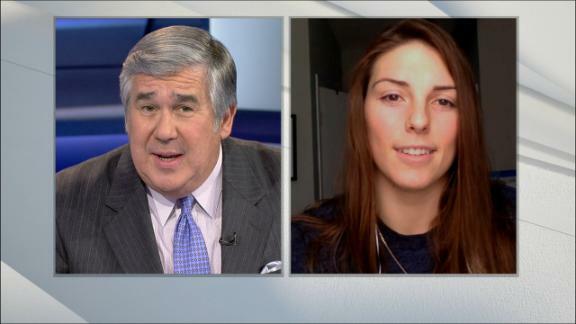 U.S. women's national ice hockey team forward Hilary Knight joins OTL to share why the players are willing to boycott the IIHF World Championships and forgo defending their title if USA Hockey is unwilling to make progress to secure fair wages. It's not necessarily the little things that really bother the players on the U.S. women's national hockey team. This includes that some of them have to stay on their parents' health insurance until they're 26 because they can't afford their own. Or that they have to get up at 5 a.m. to get a workout in to make sure they have time to juggle multiple jobs -- all while trying to prepare for future Olympic participation. Or that USA Hockey names an annual women's player of the year and the award is named after a man. Or that they have to deal with the slight indignity of asking to be added to their family's cell phone plan to save a few dollars. Or that it takes two clicks to discover that a teenaged Phil Kessel is the all-time leader in career goals scored in the U.S. National Team Development Program with 104, while there are U.S. women Olympians who aren't clear exactly how many games they've played in a U.S. jersey because they're not sure those totals have even been kept. The fact that there's a multimillion dollar national development program for teenage boys but not girls is a problem that most definitely bothers the women. But the little things, they just deal with them. They deal with them because they love the sport. They love wearing the red, white and blue. They love the pursuit of an Olympic gold medal. But in letting USA Hockey's 5 p.m. deadline pass without hesitation, without changing their stance that they won't be playing in the 2017 IIHF World Championships without some serious changes to the serious issues, they've made it clear that there are inequities that won't be tolerated. If USA Hockey is ultimately moving to Plan B, moving away from the best women hockey players in the country to find a team less willing to stand up for its rights, it's going to have to move far down the list. Captain Meghan Duggan took it upon herself to make about 100 phone calls on Thursday to the entire pool of women's hockey players in the national program to make sure they were all still united, that the unrest didn't just sit with the women currently on the roster. "It's not just about the girls you've seen in the media. It's about everyone," Duggan said. "I felt in my gut that I had to call everyone individually and directly." There's been no resistance. Zero resistance. Everyone knows this is the right thing to do. They weren't calls to drum up support. That, they already have. It was just an effort to stay united, to say thanks for the support. 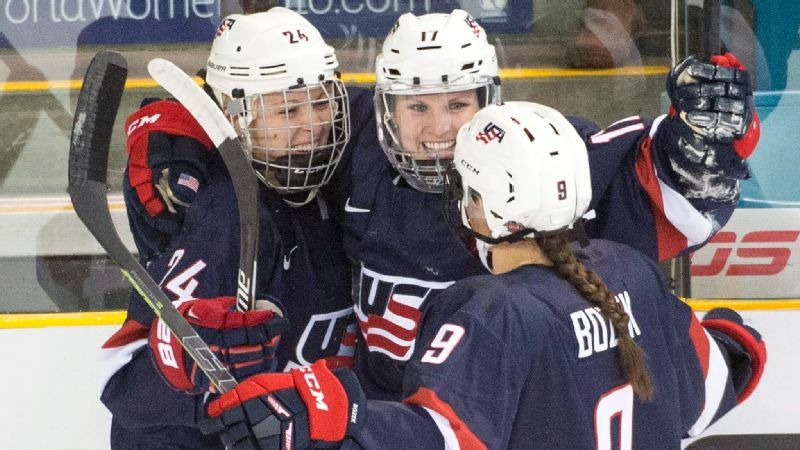 It's support that has been unanimous among the best women hockey players in this country. "There's been no resistance. Zero resistance," Duggan said. "Everyone knows this is the right thing to do." And it all comes at a fascinating moment. 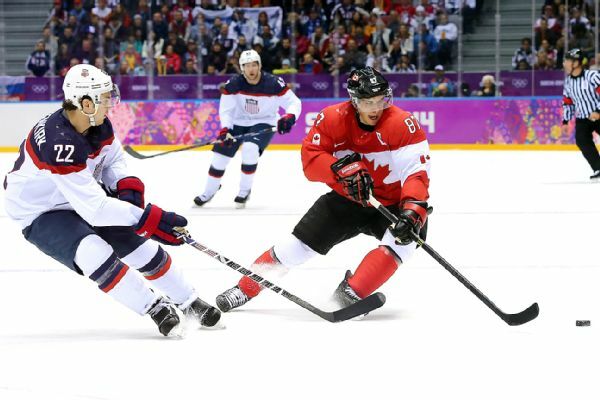 This is already a time of change for USA Hockey. The end of February marked the end of the application deadline to replace Dave Ogrean as USA Hockey's executive director. Ogrean is retiring Aug. 1, and there's a committee in place reviewing materials for Ogrean's replacement. More than ever, this becomes a critical hire for USA Hockey. The expectation is that the committee will dive into the information in early April, but suddenly, the women's national team has given them a lot more to think about in what's been a roller-coaster era for USA Hockey marked by world junior successes along with Olympic and World Cup failures. The hope among the women is that the regime change also leads to a time of more progressive thinking. "Honestly? We want someone who looks at the women's game the same as they do the men's," said Kacey Bellamy, a two-time Olympian for the women's national team. "Every meeting you have, every magazine you put out, you make sure there's an equitable amount of female and male coverage. You're all in the same program, all on the same team. Everyone should come together. Not one over the other." 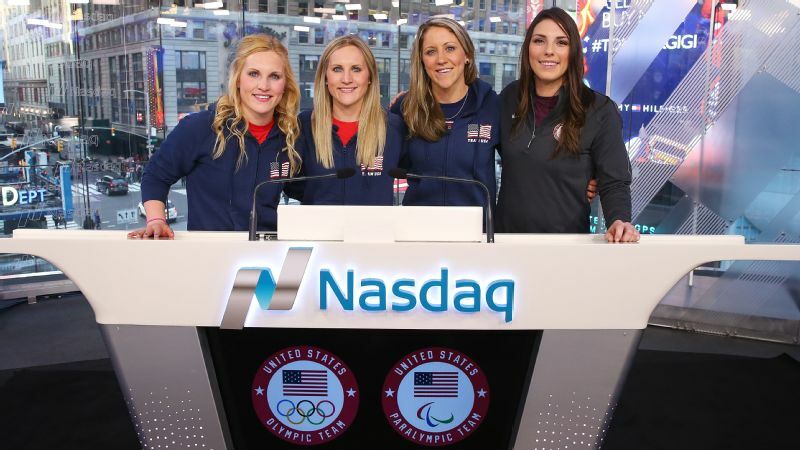 Captain Meghan Duggan, second from right, has personally made certain that the pool of women's hockey players in the national program are all still united. Those following it closely aren't optimistic, suggesting that there's an old boy's club mentality firmly in place at USA Hockey that isn't going anywhere. "How is anything ever going to change if they don't blow this up?" said one source working closely with the women's national team. This boycott and the inequalities it has exposed about how the women are treated has been eye opening. There's been a lot of focus on the demands for increased money from the players, but that's just a small part of it. The women look at the success of the men's national development program in Plymouth, Michigan, and wonder why there isn't the same program for girls of the same age. 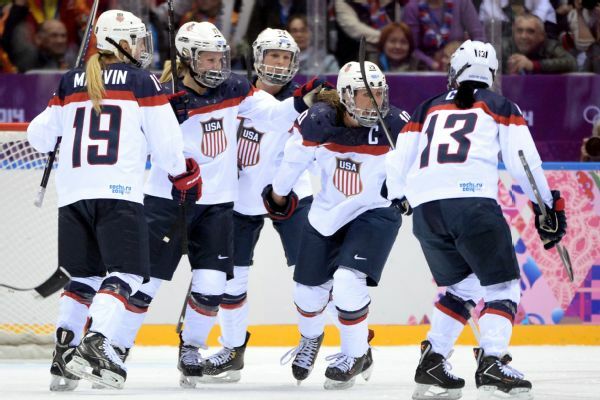 They bristled when USA Hockey suggested that women players could earn $85,000 in cash during the next Olympic year, pointing out that $37,500 of it would come from the USOC only if they win Olympic gold. And they know better than anyone that you don't just show up once every four years and you're an Olympian. It takes nonstop training in the other three years. "We've progressed in so many ways," Hall of Famer Cammi Granato said. "This just feels archaic." Right now, that seems like a pretty good word to describe USA Hockey, and not just in the organization's treatment of the women. Too often, there's a mentality on the men's side to build a hockey team that is going to slug and grind its way to a medal, like it's the mid-1990s, while ignoring trends in the game leaning toward speed and skill. And there's such a celebration for the way the 1980 men's team won its gold medal as underdogs that, even in a world where Patrick Kane, Auston Matthews and Johnny Gaudreau exist, it has to be the blueprint the rest of time. There's way too much looking back, not enough looking forward. There's no arguing against the grassroots efforts USA Hockey makes to grow the game across the country. The organization recently invited players from Texas, Georgia, California and other nontraditional states to take part in the developmental program, a highlight of those real efforts to grow the game. At least they did for the boys. Surely there are girls playing hockey in those states too that wouldn't mind the same opportunity one day. The NHL commits millions annually to USA Hockey to help develop future NHL players, so that's a big support for the development on the men's side. And USA Hockey loses money on the women's side, a reality that can't be ignored. But the frustrating thing for the U.S. women is they haven't seen a real effort to negotiate as they've raised their concerns. "In our discussions, they have steadfastly refused to discuss any of the years other than the pre-Olympic period," said attorney John B. Langel, who is representing the women. "For the other 3 1/2 years, they want to continue to pay the players virtually nothing." Granato hears that and can relate. It was essentially the same reaction she got when she approached USA Hockey for improvements with her teammates before the 2002 Olympic games in Salt Lake City. "It got stomped out quickly," she said. It may not get stomped out so quickly this time. Granato had a call with the leadership of the women's group on Wednesday that encouraged them in their boycott. For Duggan, who grew up idolizing her, it was an honor to carry the torch forward. "Cammi is the reason why all of us, for the most part, even play on this team and started this dream," Duggan said. "We looked up to Cammi as kids." On Thursday, Duggan realized the same thing was happening with her in this fight. There are young girls watching this play out. The positive response has been overwhelming from fans on social media. The women have truly appreciated the support from their NHL family, with players like Kevin Shattenkirk and Zach Parise reaching out in support. They've heard from stars in other sports. But it's the reaction from people Duggan doesn't know that has moved her most. She's receiving calls and emails from the parents of young girls with unconditional support. Those young, future players are watching. "It's about them," Duggan said. It's a time of change at USA Hockey, and it may end up being even more dramatic than initially planned.